Maple trees are one of the most adaptable ornamental shade trees for the home landscape. There are a huge variety of maples available to chose from, with a range of forms, size, colors and habits. 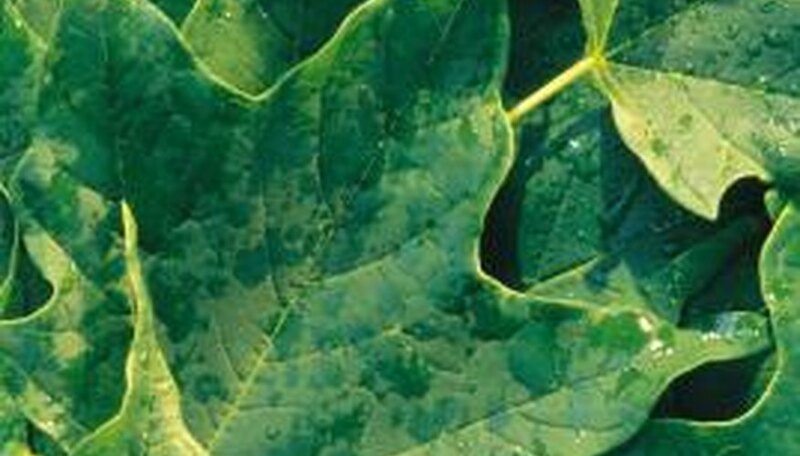 Maples have their share of disease and pest problems, just as any deciduous tree does, but they have particular issues with leaf-eating insects that destroy the striking leaves of the trees. Canker worms are also called inchworms. There are spring and fall canker worms, as well as several other species. They tend to feed on deciduous trees and hardwoods such as maples. Canker worms are the larvae of night-flying moths, and their feeding activities can seriously defoliate a tree. Fall and spring canker worms are the most prevalent pests on maples. The worms are usually green, but the spring worms may also be reddish-brown. The larvae move in a characteristic jerking arch where they pull their rear ends up to the front. Canker worms are small, at only 1/4 to 1 inch long, and they have fleshy prolegs on the front of the worm. The adult females are wingless moths that lay eggs in the late fall or early spring, and give rise to larvae at various times throughout the spring, depending on the variety. The eggs are oval and laid in clusters.The females are gray and wait on trees for males. The males are winged and have stripes on their forewings. Fall eggs overwinter and hatch in the spring, while spring eggs incubate in a matter of weeks before emergence. Feeding commences and lasts until the larvae pupate in late June. The larvae primarily feed on the young new growth of the maple. The mature larvae drop to the ground in late June on silk threads and burrow into the ground. They make a cocoon and pupate until the late fall or early spring, depending on the species. Adults then begin the mating and egg-laying ritual again, and the cycle repeats itself. The larvae are the damaging form of the insects. They create the most damage from rampant leaf feeding. They cause widespread defoliation in the early spring, which can diminish the tree's vigor. Maples and all other trees need their foliage to produce carbohydrates harvested and converted from the sun's energy. This is an important fuel source for plant growth and development, and defoliation can kill the tree if it occurs every year. Fortunately, canker worms usually have a three- to four-year cycle and then go away. One other insect that has persistence is the European winter moth, which has infested areas of the East Coast and is an introduced pest. Its outbreaks have lasted for eight years or more, but it is not common throughout the United States. Natural controls are the most environmentally friendly and safe. Bacillus thuringiensis is a naturally occurring soil bacteria that infests the feeding larvae and kills them. It must be sprayed just after the eggs have hatched but before the larvae are more than 1 inch long. Sticky traps placed in the maples are effective at capturing the pests and are nontoxic. Horticultural oils provide effective control if sprayed in the spring. A 2- to 3-percent solution can even kill the eggs.